Blog post Why does rain smell? It’s one of those days. You’re inside, reading a good book while drops of rain gently fall, the perfect soundtrack to a lazy day. Or maybe you’re soaking wet under the torrential rains down in Africa (insert Toto reference here). Whatever the case may be, I’m sure that you’re not only feeling or hearing the rain, you are also smelling it. The smell of rain is due to a mix of several compounds. First of all, Ozone. Ozone, chemical formula O3, is a molecule of three atoms of oxygen (unlike the two atoms of typical gaseous oxygen). In fact, it is named after the fat that it smells (the verb ozein means “to smell” in Greek). Ozone, aside from playing an important part in the conservation of our environment (see “Whatever happened to the hole in the ozone layer?“) also has a particular smell that is associated with thunderstorms. Lightning (or even a man-made electrical sources) splits oxygen atoms in the air into two oxygen radicals. These can combine with the oxygen molecules in the air to produce ozone. The production of ozone in a thunderstorm is the reason they have such a particular smell. But the smell of rain is not just due to the presence of ozone. 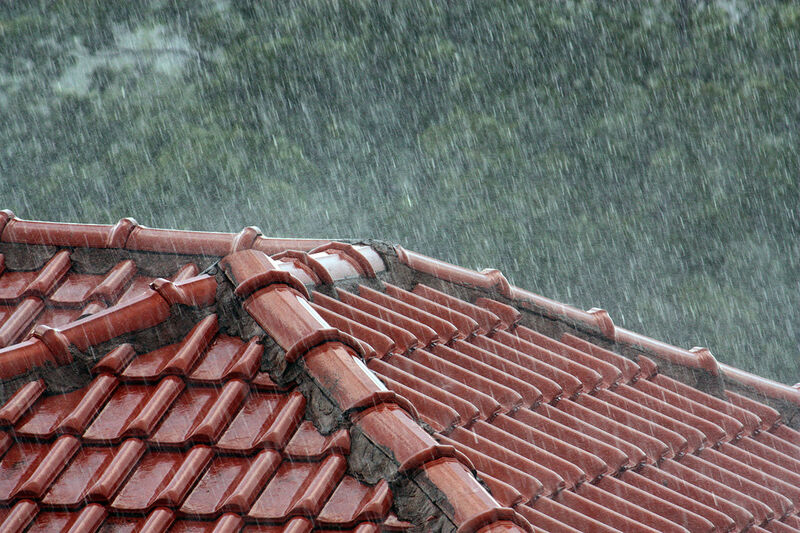 Petrichor, “the scent of dust after rain” is a mixture of organic compounds that gets kicked up by the falling rain. Petrichor is formed of oils produced by plants (usually in a dry climate) that have then deposited on soil and rock. Another important part of the smell of rain is geosmin which is a molecule produced by a type of Actinobacteria. It has that “wet earth smell”. Humans are incredibly good at smelling geosmin: we can detect it when it is as little as 5 parts per trillion, which is really not much at all! The bacteria that produce geosmin are very important to the medical industry as they produce anti-bacterial and anti-fungal agents. If you ever find yourself sneaking into a biology lab try to open up some bacterial cultures, some of them might smell of wet earth! Or you might die, but let’s focus on the positives. Geosmin is also used in perfumes and gives beets their flavour but it can also be accidentally produced when making beer or wine, which would spoil the product. The question is, why are we so sensitive to the smell of rain? Does it serve an evolutionary purpose? There is some speculation that camels use their excellent ability to smell geosmin to find distant water (up to 50 miles away!) and the bacteria that produces the geosmin uses the camels to spread its spores. Other animals, such as earthworms are also attracted to geosmin. Some plants are also able to produce geosmin, which could be a way to attract pollinating insects by tricking them into thinking that there’s some water there. We don’t really know why humans are so sensitive to geosmin, but we can speculate that knowing that rain is coming could be an advantage.